PT Bank Pembangunan Daerah Sumatera Barat – BPD Sumatera Barat (BPD Sumbar) or referred to as "Bank Nagari" is a rapid growing regional development banks in Indonesia. Bank Nagari is the regional development bank of West Sumatera province and is owned together by regional government (provincial and city/regency) West Sumatera. 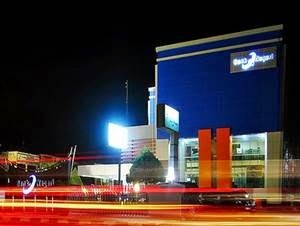 Based in Padang, Bank Nagari runs its business through 31 Conventional Branch Offices, 3 sharia Branch Offices, 42 Conventional Sub-Branch Offices, 6 sharia Sub-Branch Offices, 40 Conventional Cash Offices, 2 sharia cash offices, 35 sharia services, 28 Payment Points, 3 Oto Banking Units, 19 Car Cash Units and 21 Motorcycle Units (as of December 2016). According to PT Bank Pembangunan Daerah Sumatera Barat Annual Report 2016 as cited by JobsCDC.com, Bank Nagari’s financial performance has been growing in 2016. Total assets grew by 6.01% year-on-year (YOY). Total assets of Bank Nagari in 2016 amounted to Rp20.62 trillion as compared with Rp 19.44 trillion in 2015. Total profit in 2016 reached Rp 341 billion, increasing 7.38% compared to Rp 317 billion in 2015. For Regular Applicant : minimum GPA of 2.75 for PTN and 3.00 for PTS. For Applicant with Achievement : have achievement with minimum in provincial level in the last 3 years in the field of Sports / Art / MTQ / Hafal Al-Qurán. Maximum age of 25 years old on 1 April 2018. Not married and willing not to marry for 2 (two) years counted as a Trainee Employee. Willing to undergo office bond for 3 (three) years counted as Trainee Officer. Not involved in the use of drugs and / or psychotropic substances and other addictive substances. Never dismissed "With No Respect" as an employee of both government and private agencies. Able-bodied (physical and spiritual), not deformed body and not color blindness expressed with the result of examination from Hospital / PUSKESMAS. Willing to be placed in the working area of ​​Bank Nagari. Willing to sign a letter of agreement with Bank Nagari. JobsCDC.com now available on android device. Download now on Google Play here. Please be aware of recruitment fraud. The entire stage of this selection process is free of charge. Bank Nagari - D3 Fresh Graduate Trainee Program BPD Sumbar March 2018 will never ask for fees or upfront payments for any purposes during the recruitment process such as transportation and accommodation.